Back on February 15, Billie Joe reached out on Instagram asking for help translating documents believed to be the birth certificates of his great-great-grandparents Pietro Marsicano and Teresa Nigro. With the help of Italian fans, the documents were revealed to be baptismal certificates, indicating that his great-great-grandparents were originally from Viggiano before immigrating to California. This resulted in Amedeo Cicala, the Mayor of Viggiano, publicly inviting Billie and his family to visit the small village of his ancestors. Billie Joe made his first visit to Viggiano on June 22. Alongside his wife Adrienne, Jason White, Jason’s wife and a welcoming crowd of Italian fans, Billie spent two days touring the small town of 3,000 people that is famous for its harpists. They walked through the alleys of the historic center, discovering the places that link the history of his family to Viggiano, visited the Pontifical Basilicata of the Black Madonna, learned to make local pasta and took in the local culture and cuisine. The tour concluded with an outdoor ceremony where Billie was presented an honorary citizenship. 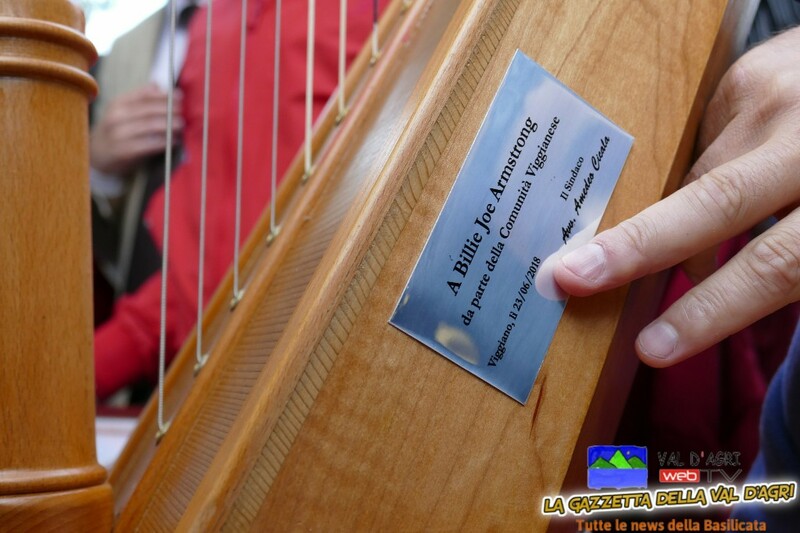 He also received several gifts, including a harp from the city’s administration.